Glory Awakening > Blog > Fruitful Christian Life > Who do you love with all of your heart? Have you ever been head-over-heals in love? How did you act? I have been watching a young couple in our church who just became engaged. It is quite heart-warming watching the way they think about each other all the time. Of course, they are together every moment possible. If they aren’t together, they are texting, tweeting, phoning, or communicating on Facebook, or on Skype. If they aren’t talking to one another, they are talking to others around them about each other. Have you ever loved someone so much you would be willing to lay down your life for them? Did you know that God loves us like that? Jeremiah 31:3 …“Yes, I have loved you with an everlasting love; Therefore with lovingkindness I have drawn you. 1 John 4:9-10 9 In this the love of God was manifested toward us, that God has sent His only begotten Son into the world, that we might live through Him. 10 In this is love, not that we loved God, but that He loved us and sent His Son to be the propitiation for our sins. 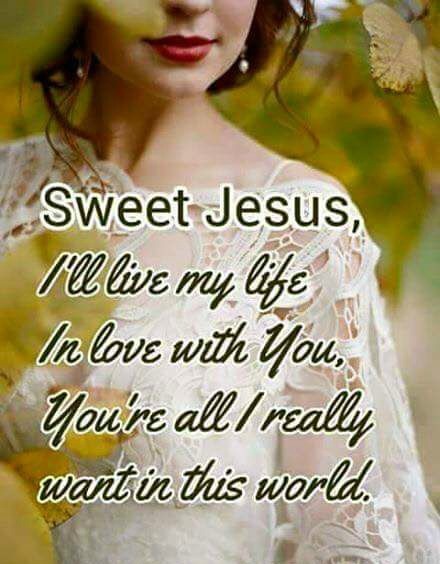 John 3:16-17 16 For God so loved the world that He gave His only begotten Son, that whoever believes in Him should not perish but have everlasting life. 17 For God did not send His Son into the world to condemn the world, but that the world through Him might be saved. Ephesians 2:4-9 4 But God, who is rich in mercy, because of His great love with which He loved us, 5 even when we were dead in trespasses, made us alive together with Christ (by grace you have been saved), 6 and raised us up together, and made us sit together in the heavenly places in Christ Jesus, 7 that in the ages to come He might show the exceeding riches of His grace in His kindness toward us in Christ Jesus. 8 For by grace you have been saved through faith, and that not of yourselves; it is the gift of God, 9 not of works, lest anyone should boast. John 15:12-14 12 This is My commandment, that you love one another as I have loved you. 13 Greater love has no one than this, than to lay down one’s life for his friends. 14 You are My friends if you do whatever I command you. Have you ever seen an example of a couple that has a lop-sided love? Maybe the man is completely in love with the woman, but she has not fallen for him yet. He is lavishing her with his love in every way he knows how to do. But she is kind of just taking advantage of that and taking him for granted. Of course, you know where I’m going with this. 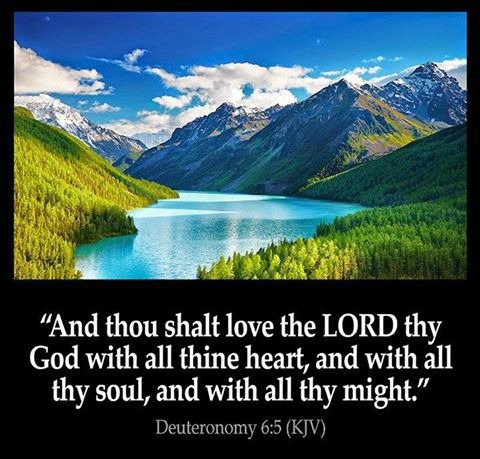 Is there a possibility that we have learned of the awesome love of God for us, and received Jesus as our Savior as a result, but we have never really let it sink in as to just how much He loves us? (Many of us have been raised with a religious picture of God being this big mean thing up in the heavens. He was presented as a God Who was just waiting for us to mess-up and then He would punish us. But that is a misconception, doctrine of demons, tradition of man!) The God of the Bible is love! God is good and His mercies endure forever! He is all about patience, forgiveness, and reconciliation! When we get a realistic glimpse of God’s incredible love toward us, we can’t help but fall in love with Him! 1 John 4:7-16 7 Beloved, let us love one another, for love is of God; and everyone who loves is born of God and knows God. 8 … for God is love. 9 In this the love of God was manifested toward us, that God has sent His only begotten Son into the world, that we might live through Him. 10 In this is love, not that we loved God, but that He loved us and sent His Son to be the propitiation for our sins. 11 Beloved, if God so loved us, we also ought to love one another. 2 Cor. 5:14 For the love of Christ constraineth us; because we judge thus: that if One died for all, then all died; 15 and He died for all, that those who live should live no longer for themselves, but for Him who died for them and rose again. 16 Therefore, from now on, we regard (know) no one according to the flesh. 20 Now then we are ambassadors for Christ, as though God did beseech you by us: we pray you in Christ’s stead, be ye reconciled to God. 21 For He made Him who knew no sin to be sin for us, that we might become the righteousness of God in Him. Ephesians 5:25-29 25 Husbands, love your wives, just as Christ also loved the church and gave Himself for her, 26 that He might sanctify and cleanse her with the washing of water by the word, 27 that He might present her to Himself a glorious church, not having spot or wrinkle or any such thing, but that she should be holy and without blemish. 28 So husbands ought to love their own wives as their own bodies; he who loves his wife loves himself. 29 For no one ever hated his own flesh, but nourishes and cherishes it, just as the Lord does the church. 1 John 4:19 19 We love Him because He first loved us. God longs for us to love Him with all that we are. Ezekiel 11:19-2019 Then I will give them one heart, and I will put a new spirit within them, and take the stony heart out of their flesh, and give them a heart of flesh, 20 that they may walk in My statutes and keep My judgments and do them; and they shall be My people, and I will be their God. When I did that, God put an insatiable hunger and thirst for His Word in me. I began to read the Bible over and over. I began to listen to Christian music all the time. I couldn’t get enough of the things of God, and fell so deeply in love with God. I finally realized that the Bible is His love letter to us, describing all that He has done to lavish His love upon us! Loving Him was the least I could do! I owe Him everything! Unfortunately, many Christians have never come to the realization of how much God loves them. Therefore, they have never really fallen in love with God. Sadly, there are too many who call themselves Christians, who genuinely received Jesus as their Savior, but have compartmentalized their faith. They go to church, but the rest of the time they are content to live without giving much thought to the things of God. Or there may be those reading this today who loved God with all of their heart at some point in the past, but that love has grown cold. Revelation 3:15-20 15 “I know your works, that you are neither cold nor hot. I could wish you were cold or hot. 16 So then, because you are lukewarm, and neither cold nor hot, I will vomit you out of My mouth. 17 Because you say, ‘I am rich, have become wealthy, and have need of nothing’—and do not know that you are wretched, miserable, poor, blind, and naked— 18 I counsel you to buy from Me gold refined in the fire, that you may be rich; and white garments, that you may be clothed, that the shame of your nakedness may not be revealed; and anoint your eyes with eye salve, that you may see. 19 As many as I love, I rebuke and chasten. Therefore be zealous and repent. 20 Behold, I stand at the door and knock. If anyone hears My voice and opens the door, I will come in to him and dine with him, and he with Me. God likened His relationship with Israel to husband and wife in the Old Testament. The marriage vows that we make are based upon the concept of covenant from the Bible. Making a covenant with someone is basically saying I will love you until death. All that I have and all that I am is yours. God gave us that model of a love relationship with His example demonstrated so vividly in the stories of Israel. We Christians are living in a better covenant than they had in Israel before the blood covenant God made with us through the death of Jesus. Jesus was the ultimate example of love as He laid down His life so our intimacy with God could be made possible. The veil was removed so all of us can approach God. We have the indwelling Holy Spirit. 1 Corinthians 13:4-8 4 Love suffers long and is kind; love does not envy; love does not parade itself, is not puffed up; 5 does not behave rudely, does not seek its own, is not provoked, thinks no evil; 6 does not rejoice in iniquity, but rejoices in the truth; 7 bears all things, believes all things, hopes all things, endures all things. 8 Love never fails. Jeremiah 29:11-13 11 For I know the thoughts that I think toward you, says the LORD, thoughts of peace and not of evil, to give you a future and a hope. 12 Then you will call upon Me and go and pray to Me, and I will listen to you. 13 And you will seek Me and find Me, when you search for Me with all your heart. John 10:10-11 10 The thief does not come except to steal, and to kill, and to destroy. I have come that they may have life, and that they may have it more abundantly. God describes that He is a jealous God. Anything that takes the place of first love in our lives becomes an idol. Idolatry was referred to many times as worshipping demons. A devil is not going to want the best for us and will not help us in time of need. Have you ever heard the saying, “Give the devil an inch, and he’ll become your ruler!”? It grieved the heart of God deeply when He would lavish His love on Israel, only for her to turn and follow after idols. He uses words to describe this like ‘whoring’ and ‘harlotry’. Deuteronomy 31:15-16 15And the LORD appeared in the tabernacle in a pillar of a cloud: and the pillar of the cloud stood over the door of the tabernacle. Ezekiel 16:1-15 1 Again the word of the LORD came to me, saying, 2 “Son of man, cause Jerusalem to know her abominations, 3 and say, ‘Thus says the Lord GOD to Jerusalem: “Your birth and your nativity are from the land of Canaan; your father was an Amorite and your mother a Hittite. 4 As for your nativity, on the day you were born your navel cord was not cut, nor were you washed in water to cleanse you; you were not rubbed with salt nor wrapped in swaddling clothes. 5 No eye pitied you, to do any of these things for you, to have compassion on you; but you were thrown out into the open field, when you yourself were loathed on the day you were born. 7 I made you thrive like a plant in the field; and you grew, matured, and became very beautiful. Your breasts were formed, your hair grew, but you were naked and bare. 15 “But you trusted in your own beauty, played the harlot because of your fame, and poured out your harlotry on everyone passing by who would have it. Leviticus 17:7 7And they shall no more offer their sacrifices unto devils, after whom they have gone a whoring. This shall be a statute forever unto them throughout their generations. Sadly, there are very few Christians today who really love God more than anything in life. That is a foreign, even old fashioned concept in this generation. I find it interesting to go into the room of a teen ager and look at what they have plastered all over their walls. Today’s idols are things like sports, beauty, talents, pursuit of money, celebrities, sensuality, witchcraft, material wealth and possessions, self-reliance, intellect, etc. The gospel is presented many times as fire insurance salvation and then positive motivational teaching. God doesn’t just want us to go to church as a social club and regard Him as someone we go to only if we need something. It is time for us to stop treating God like a vending machine. We go to Him when we want something. Then, if we don’t get it right away we throw a temper tantrum. We yell at Him. We would even kick Him if that were possible. We also expect God to be our ambulance in time of trouble. Bur other than that He very rarely hears from us. Is there something wrong with that picture? 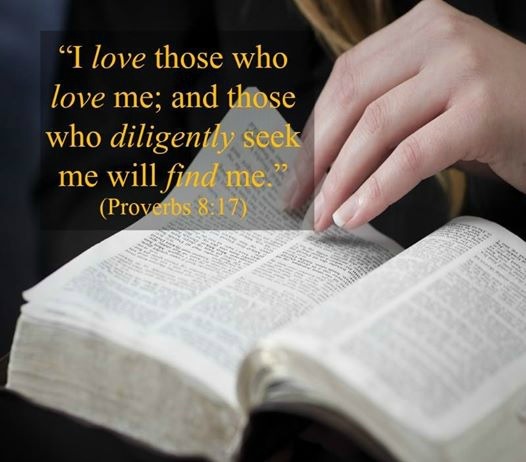 I feel like it is time we search our hearts and seek to know the Lord for Who He really is…the Lover of our soul! Romans 8:26-28 26 Likewise the Spirit also helps in our weaknesses. For we do not know what we should pray for as we ought, but the Spirit Himself makes intercession for us with groanings which cannot be uttered. 27 Now He who searches the hearts knows what the mind of the Spirit is, because He makes intercession for the saints according to the will of God. I want to encourage you to ask the Lord to make Himself real to you. Ask Him to give you a hunger for His word and to show You how much He loves you. We need a fresh revelation of the goodness of God. We need to examine our hearts and see what we are really putting first in our lives. Nothing will meet our needs, emotionally, physically, financially or spiritually like God will. We have tried to fill the longing in our heart with so many empty things. Only God can satisfy that longing. Only He can love us like we long to be loved. It is finally time to stop looking for love in all the wrong places. You have found it, His name is Jesus! Ephesians 3:14-21 14 For this reason I bow my knees to the Father of our Lord Jesus Christ, 15 from whom the whole family in heaven and earth is named, 16 that He would grant you, according to the riches of His glory, to be strengthened with might through His Spirit in the inner man, 17 that Christ may dwell in your hearts through faith; that you, being rooted and grounded in love, 18 may be able to comprehend with all the saints what is the width and length and depth and height— 19 to know the love of Christ which passes knowledge; that you may be filled with all the fullness of God.